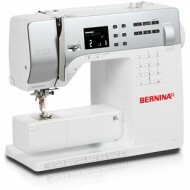 The Bernina 3 series are easy-to-operate sewing machines which are perfect for beginner sewers. These machines have a solid construction and offer a wealth of creative features and functions, without overwhelming the user. direct-selection keys are clearly laid out and allow speedy access to all the fucntions. It's easy to keep track of your sewing projects and settings with the LCD display, whilst the memory function allows you to save your own stitch pattern combinations and variations. 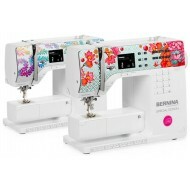 A successful combination of precision, design, and user-friendliness, the Bernina 3 series is the capable and versatile machine of choice for novice users. 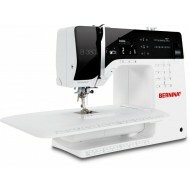 Bernina 330 the most basic computerised machine in the Bernina series - perfect for beginner ..
BERNINA 350 Special Edition An affordable quilters machine with amazing features and accessor..
BERNINA 380 Easy fabric manipulation and high quality stitches FHS Free Hand System ..